Be it hairdressing or nut farming, car services or Internet cafes, thousands of Moldovans who had migrated West in search of opportunity have repatriated and used the pioneering grant scheme to set up small businesses of their own. Such is the success – though small, the scheme is cheap – that advocates say it could be copied as far afield as sub-Saharan Africa or post-conflict Syria, as poor and unstable economies seek new ways to coax back their brightest and best. Those migrants who returned launched everything from car services to hair salons, remembered Gutu, who was involved in implementing the programme and now works for the United Nations Food and Agriculture Organization (FAO). “We even financed Internet cafes,” said Gutu, as he recalled the seeds of ideas that sprouted into fully-fledged businesses. Igor Golban is a case in point. Unable to find the crucial finance he needed to expand his nascent nut-growing business, Golban felt he had no option but to leave his Moldovan home and try his luck as a migrant worker. So in 2013, he left the lush countryside of his childhood, swapping the orchards and vineyards of landlocked Moldova to work at a northern German farm growing sea buckthorn. It was hard work – but it paid off. Within months, Golban returned home and invested the savings sent home – known as remittances – in his beloved nut business. He now earns more in Europe’s poorest country from exporting organic walnuts, hazelnuts and almonds than he did working in the region’s largest economy. He would not say how much money his operation makes, but the 37-year-old employs nine full-time workers and 14 more during the busy, two-month harvest. 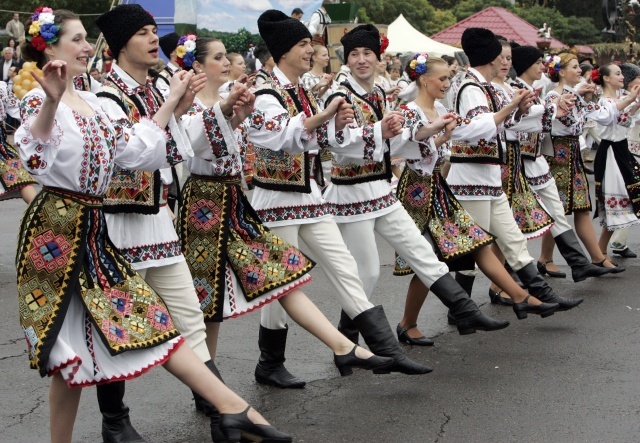 “(They’re) all Moldovans, all locals,” he said proudly. Key to his success was the government grant of 10,000 euros ($11,262) that meant he could modernise his 32-hectare (79-acre) farm, Golban told the Thomson Reuters Foundation. The grant scheme had its detractors when it launched in 2010 with European Union funding and United Nations expertise. It is only open to those who send money home and their immediate kin – remittances account for nearly a quarter of Moldova’s GDP – and many locals resented rewarding those who had left then won help to come back and go into business. But slowly, as the plan reaped results, creating jobs and new enterprises to fill the economic void left by the collapse of the Soviet Union, it became a model to watch. Known as PARE 1+1, a similar scheme is already being piloted in Tajikistan, where remittances make up almost 30 percent of the country’s GDP. Other countries and regions may follow suit. For the United Nations migration agency, such schemes are the best shot at getting people to head home and invest enough hope, money and opportunity that people stop leaving. “If migrants do not have concrete and positive livelihoods scenarios back home after the return, very likely they would try to go back to countries of destination,” said Ghenadie Cretu, a coordinator with the U.N.’s International Organization for Migration (IOM) in Moldova. The European Union, together with IOM, has been ramping up efforts to usher home European-bound Africans who get stuck in transit in places such as Algeria and Libya. Cretu said the Moldovan grant programme could be adapted to help in such migrant crises, and could even work in a place like Syria when post-conflict rebuilding begins. Under PARE 1+1, migrants or their families setting up small businesses using remittances receive grants matching their own investment, up to 10,000 euros. Since 2010, more than 1,250 businesses have benefited, more than half in food and agriculture, according to official figures. They have also created about 3,200 new jobs. “We had a lot of stumbling blocks because the government was cash-strapped and the donors said this wasn’t a good idea,” recalled Iulia Costin, Moldova’s State Secretary of the Ministry of Economy and Infrastructure. Still, that is only a small fraction of remittances Moldova receives each year from migrant workers. In 2017, migrants sent back $1.7 billion to the country, according to Costin. It will not stop the congested migration routes that criss cross the continent, but at least there is now another option.